Windermere Property Management rents the most beautiful homes and properties in Pullman. Specializing in neighborhood and college properties, we are here to help you find the perfect place to rent! Choosing the right management company to protect your investment is an important decision. We make that decision easy with state of the art technology, best in town reviews, and hard working staff. Learn the “in’s and out’s of property management here! We answer our most often asked questions about renting, deposit, and pets. Learn more about Pullman’s best property management company here! Fill out our rental application online! The easy to use portal will walk you through the entire rental process seamlessly and simply! Looking to buy or sell a home? Chris Clark is your man! Check out our weekly blog content, up the the minute MLS listings, and connect with one of Pullman’s Top Real Estate Brokers! 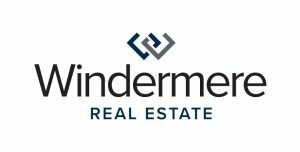 Windermere Real Estate is a full service brokerage. Our website and free MLS resources are available here! Feel free to email us with any questions and we look forward to finding you the perfect home! Born out of personal hardships, iBELIEVE of the Palouse strives to enrich the lives of local children with unique activities and events throughout the year. Learn more about their mission and donate here! Recently worked with one of our Realtors? Have feedback for our property management company? Feel free to leave an anonymous survey here! Thank you for your time as we better serve all our clients!